Bespoke: Together with our clients we create a completely unique invitation from the ground up that is truly one of a kind and made especially for them. Custom: We offer a carefully curated collection of ready to order invitations and accessory lines that can be customized slightly to coordinate with the look and feel of your special event. 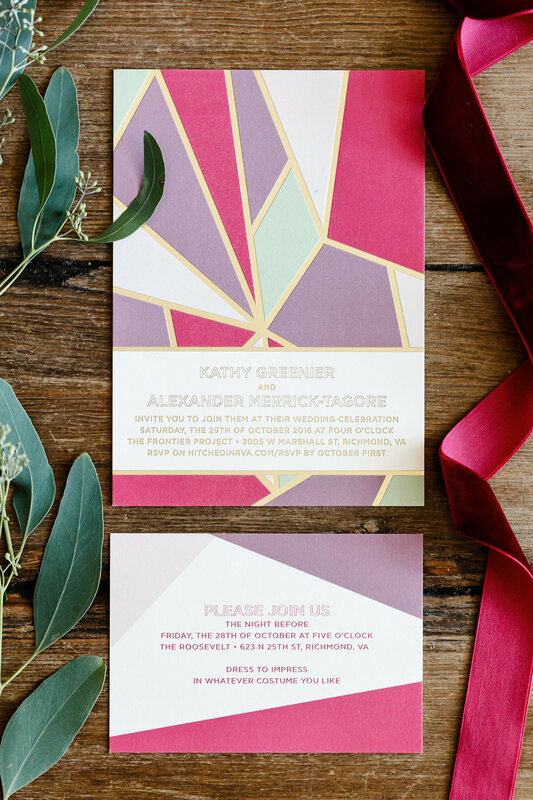 Wedding and Event Branding: We specialize in wedding branding and love to create a consistent and beautiful design aesthetic on everything from save the dates to the day of papery to favors. Calligraphers and Artists: We have long standing relationships with several talented calligraphers and artists to offer you the best in the industry. And More: We manage the design, manufacturing, and production of everything from paper to hard goods. If you can print on it - it is in our wheelhouse. Here are just a few of the accessories we design and print: napkins, coasters, stickers, tags, bags, matches, cups and more.